Shop Naturalizer Canada online Warehouse Sale right now and save an extra money! 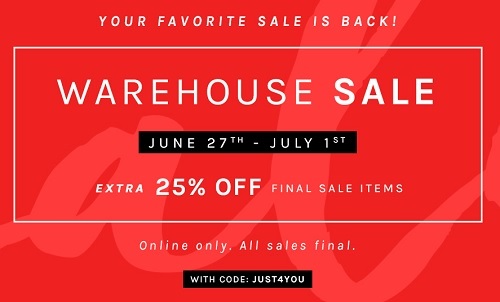 Get an extra 25% discount on all sale styles. Offer is valid online only. You can receive this offer by entering the promo code JUST4YOU at checkout. Get your favourite items before they are gone. Official source of the information is Naturalizer Canada. Offer is valid through July 1, 2016. For more details about the promotion visit Naturalizer Canada online.